ESPN3 Commentators for Invictus Games Orlando 2016 Include Former Olympians & Paralympians & Familiar ESPN Faces - ESPN Press Room U.S. Familiar faces to ESPN viewers from a wide range of sports will team with expert analysts – many with Olympic or Paralympic experience – for ESPN3’s 40-plus hours of coverage of the Invictus Games Orlando 2016. The Games will take place Sunday, May 8, through Thursday, May 12, at ESPN Wide World of Sports Complex at Walt Disney World. Several ESPN3 analysts have participated in Invictus Games events, led by Ade Adepitan, a wheelchair basketball player who lost a leg to polio, Duncan Campbell, inventor of wheelchair rugby and Matt Stutzman, an archer born without arms. Additional analysts include former Olympians Erin Cafaro MacKenzie (rowing), Rowdy Gaines (swimming), Brad Gilbert (wheelchair tennis), Dan O’Brien (track & field), Brian Shaw (powerlifting), as well as Sean Farnham (wheelchair basketball) and Missy Whittemore (sitting volleyball). The ESPN3 play-by-play commentators: Allen Bestwick, Chris Cotter, Dave LaMont, Patrick McEnroe, Paul Sunderland. ESPN’s Kaylee Hartung, a college sports reporter for ESPN, and Allison Williams, a college football and basketball reporter for ESPN, will serve as sideline reporters for the events. Play-by-play: Chris Cotter is a studio anchor for ESPN appearing on SportsCenter and College Football Live. Analyst: Brian Shaw is an American professional strongman competitor and winner of the World’s Strongest Man in 2011, 2013 and 2015. Rowing, May 9 at 1:30 p.m.
Play-by-play: Allen Bestwick covers a wide range of sports for both ESPN and ABC, notably IndyCar (including the Indianapolis 500) and college sports. Analyst: Erin Cafaro Mackenzie won Olympic gold medals in 2008 and 2012 in rowing (women’s eight). In 2005 and 2006, she won the NCAA Rowing Championships while at the University of California Berkley. 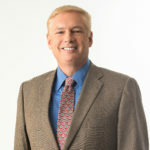 Archery Finals May 9 at 7 p.m.
Play-by-play: Dave LaMont joined ESPN as a play-by-play commentator in 2005, currently calling college football and basketball. He also works select college football games for ESPN Radio and has called the Texas Relays on Longhorn Network. Analyst: Matt Stutzman was born without arms and uses his feet, chin and shoulders for archery. He is the world-record holder for the longest accurate shot in archery at 930 feet. Stutzman won a silver medal at the 2012 Paralympic Games. Track& Field Finals, May 10 at 8 a.m.
Analyst: Dan O’Brien won the gold medal at the 1996 Olympics in the decathlon. O’Brien also won three decathlon titles at the World Championship (1991, 93, 95). O’Brien was inducted into the Oregon Sports Hall of Fame in 2005 and the National Track and Field Hall of Fame in 2006. Sitting Volleyball Semifinals, May 10 at 2 p.m.; Gold/Bronze Medal Games 7 p.m.
Play-by-play: Paul Sunderland calls men’s basketball and volleyball on Longhorn Network. A star volleyball player, he was named USA Volleyball player of the year in 1982 and he won a gold medal in volleyball at the 1984 Olympic Games in Los Angeles. Analyst: Missy Whittemore was an all-SEC volleyball player at Florida. She has more than a decade of experience as a volleyball analyst with Sun Sports, CSS and SEC Network. Swimming Finals, May 11 at 8 a.m.
Analyst: Rowdy Gaines has served as a swimming analyst for multiple Olympic Games. He won three gold medals at the 1984 Games. He also won five gold medals and three silvers at World Championships in his career. Wheelchair Rugby Semifinals May 11 at 2 p.m.; Bronze/Gold/Exhibition Games at 7:30 p.m.
Analyst: Duncan Campbell lost use of his legs at the age of 17 after an accident. In 1976, he invented wheelchair rugby. He is a member of the Canadian Paralympic Hall of Fame and served as an analyst for wheelchair rugby during the 2012 Paralympic Games. Wheelchair Tennis Finals May 12 at 8 a.m.
Play-by-play: Longtime ESPN tennis commentator Patrick McEnroe is a former professional tennis player and former captain of the US Davis Cup team. Analyst: Brad Gilbert, a bronze medal-winner at the 1988 Olympic Games, works as a tennis analyst for ESPN. He won 20 titles in his career and compiled a 10-5 record in Davis Cup from 1986-93. Wheelchair Basketball Semifinals May 12 at 10:30 a.m; Bronze/Gold Games at 2 p.m.
Analyst: Sean Farnham, an ESPN college basketball analyst since 2010, is a former co-captain of UCLA’s basketball team. During the summer of 2011, Farnham developed a non-profit charity, Hoops from Home, which provides basketball camps and academic scholarships to service member’s children.